Grainger Public Relations » Cool Show with a Hot Twist! From Saturday 20 December 2014 through to Sunday 1 February 2015, Dundee Science Centre will host ‘Cool Show with a Hot Twist’. Promising everything from the white, fluffy snow often used in movies (regardless of the temperatures outside!) 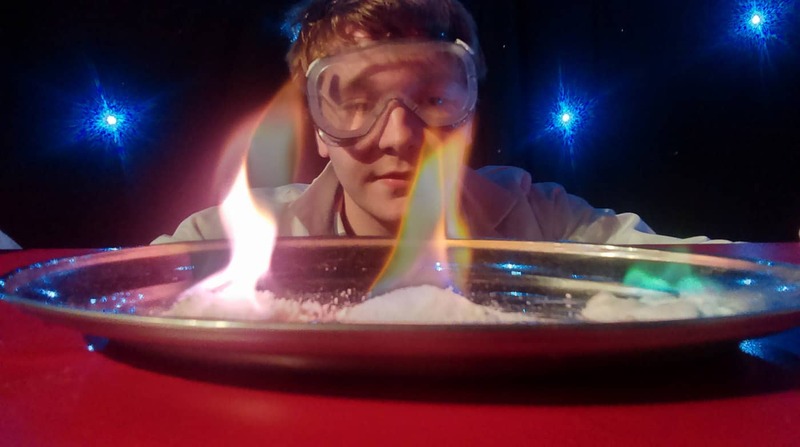 to a demonstration of D.I.Y snow which visitors can make in their own homes, the show will also see the creation of hot ice based on an intriguing chemical reaction! With the show ending with an impressive bang, the festive and timely topic of celebrations will also be explored, with the Science Centre team making their own fireworks, just as many use to celebrate Christmas and New Year all over the world. The show, which is suitable for anyone aged four and over, will run regularly throughout the day from Saturday 20 December 2014 through to Sunday 1 February 2015 and is included as part of normal admission. A fun, interactive story-time exploring the wonders of Winter will also be on offer for younger visitors. Dundee Science Centre is open daily from 10am-5pm. The Centre will close on Thursday 25 and Friday 26 December 2014, as well as Thursday 1 January 2015. For further information, including opening hours throughout the festive season, please telephone 01382 228800 or visit www.dundeesciencecentre.org.uk.